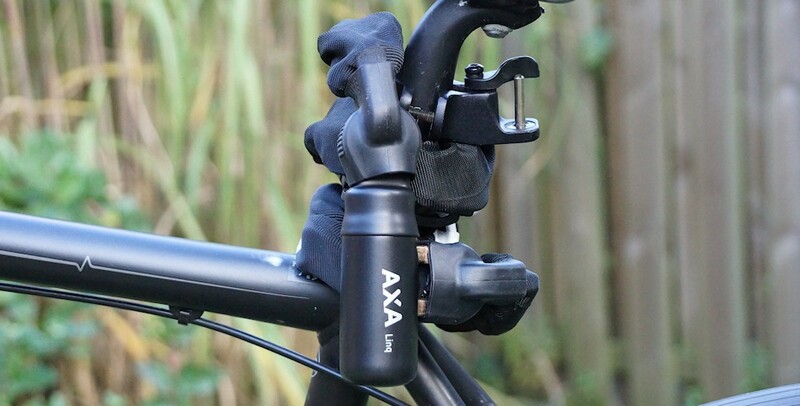 Today we look at the chain lock AXA Linq and Linq City in more detail. In these two variants, the manufacturer relies on the «principle» chain lock. How do the two models, we are not only easy handling, clarify the specifications and the general impression in everyday life. 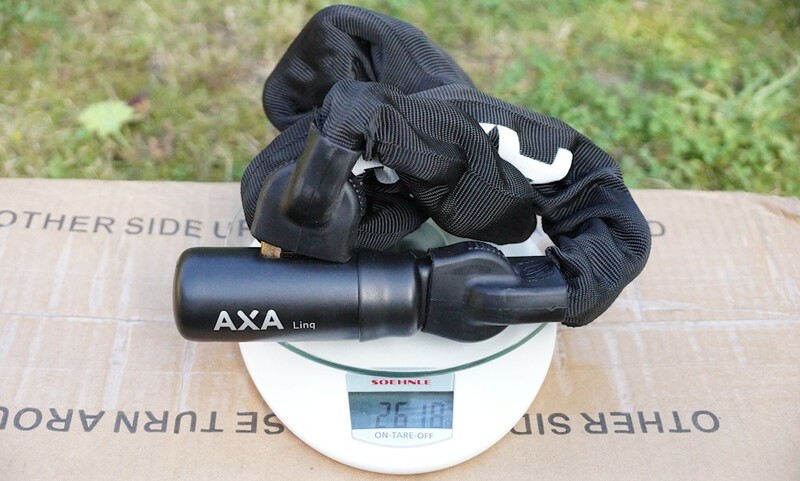 While the AXA Linq City is supplied in a plastic bag, is dispensed with the «big» Linq to plastic and the chain has only one sleeve made of cardboard. Both locks each with 2 keys are included, more is not included. A bracket is available for the lock does not, more on that later. The locks are identical structurally and in terms of function, here you do not have to decide.Only the weight is an important and not insignificant difference. This factor results from the use of varying thicknesses. The AXA Linq has compared to Linq City much stronger links. 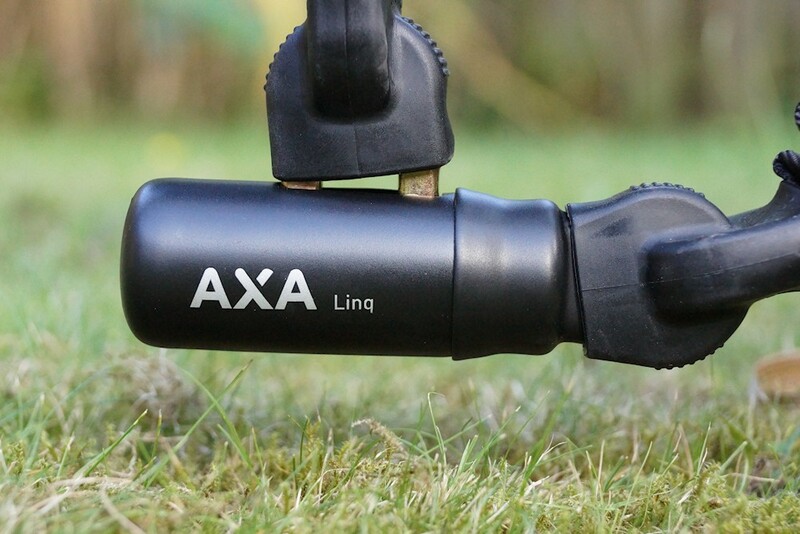 The AXA Linq City has links with a diameter of 7 mm and the AXA Linq has a diameter of 9.5 mm. This 1.45mm become noticeable. Weigh the Linq City about 1.5 kg, brings his big brother 2.6 kg on the scales. Both castles bring a safety index of 9 and 14. Maximum value is the even predetermined by AXA value 15. For comparison, the AXA Cherto has 95 a safety index of 4, the AXA Toucan has an index of 9 and AXA FLC 800 also one of 9. A security level of 14 is therefore very strong and gives hope for a high security, more on this later in «cracking the AXA Linq». The processing is very high, there are no areas that stand out negatively. No corners, no sharp edges. In the hand, it acts by its weight very valuable and safe (Subjective perception about the weight). Through the polyester shell to the frame and the paint will not be scratched. Here it must be said, however, when we had cut the sheath, this was torn quickly.The cylinder and the ends of the chains are covered with rubber. 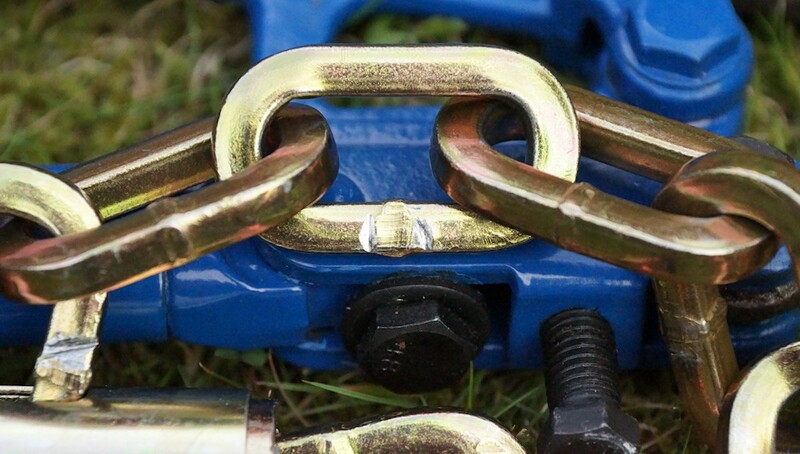 As with almost every chain lock, there is no bracket, needless to say, the one, inconvenient say others. Since opinions are very apart. The Linq / City must / can thus be placed around the seat post and thus transported through the streets. Alternatively it may be with the bike pack throw. Weighing 2.6 kilograms, it is not for the weight optimizer that City comes with its 1.5 kg just in the competition Kamp as the ABUS Bordo Big (about 1.4 kg). With a length of one meter, the castle is long enough to connect the two-wheeler to a subject.The chain is very flexible, so you have to look at how the lock on the best results without dirty on the bicycle chain through the bike frame. The key can be drawn only from the cylinder when you have completed this. This prevents inadvertently disconnected when the key is not even there. From handling the Linq is a classic chain lock and has all the characteristics ascribed to this type. thieves bite at this castle the teeth, we tried to open the lock with different methods. The Commercial bolt cutters has given almost the spirit and the chain links have only tired laughed. Once we have the full sheath away, we look at hardened steel with very few scratches. Since our bolt cutters, the «opponent» already made in the City, we have the 9.5-he did not even tickle it. We could seriously damage it either with the bolt cutters, not drill with the drill, even with a hacksaw. We can only guess the spare key sets off well. Despite international online key service, it would be very annoying not to come directly to his bike. 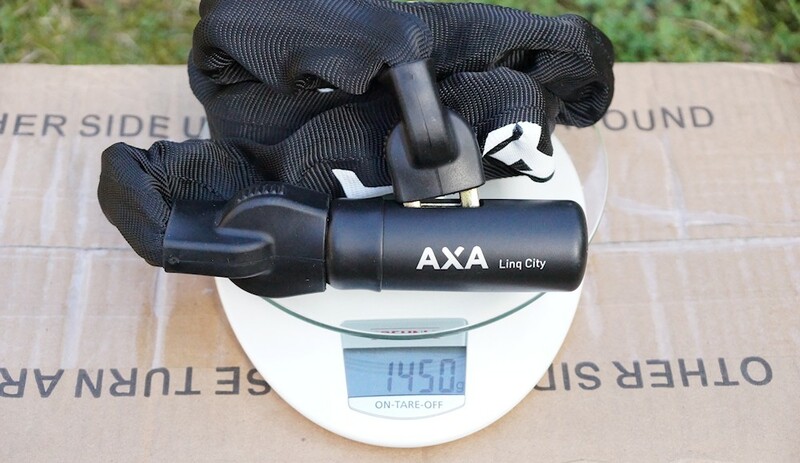 After the last AXA bike locks have more moderate cut in our test, the AXA Linq is impressive again. A bicycle lock that bears his name deserves. There is little to complain about at the castle, only the heavy weight and a lack of support give deductions in the B-Note. However, one must not forget that security is often linked to a higher weight. The price is for the lock in our eyes more than justified. From this AXA Linq 4.6 receives from a possible 5 and reaches the Test score Very Good. 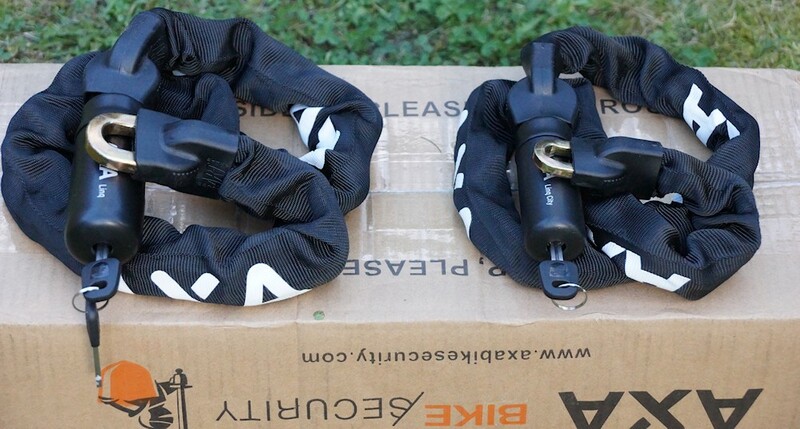 More Bike Locks with test results are also in the bicycle lock test to find.